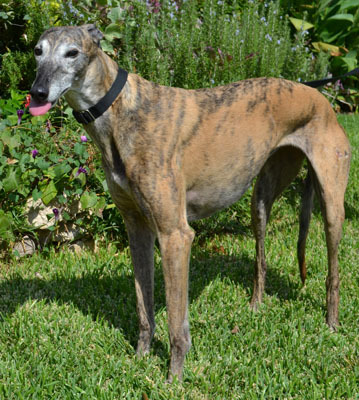 Poppy, aka Paparazzi, is a 9½-year-old red brindle female born December 12, 2003. Her sire is WW Time Warp and her dam is Kiowa Mags Macon. 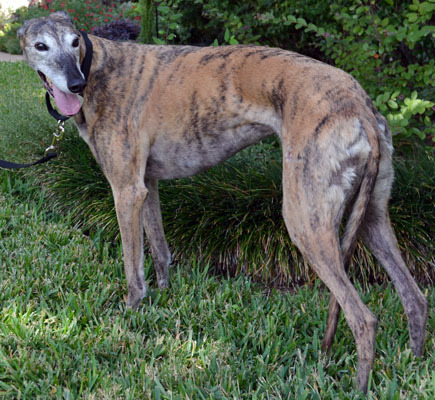 Poppy ran in 18 races at the Dubuque track in Iowa and retired as a two year old. 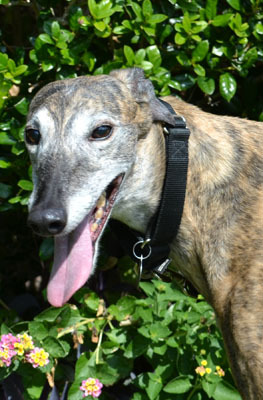 She was in a home for seven years, but has returned to GALT through absolutely no fault of her own. 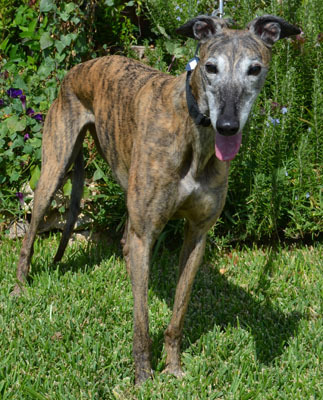 Poppy is a very outgoing and friendly girl who loves people and is cat trainable.